Richard (Rick) Hall is a multi-talented Christian musician, Worship Leader and Composer based near Beverley, East Yorkshire. Richard has been using Power Music for many years now and endorses Power Music wherever he plays. 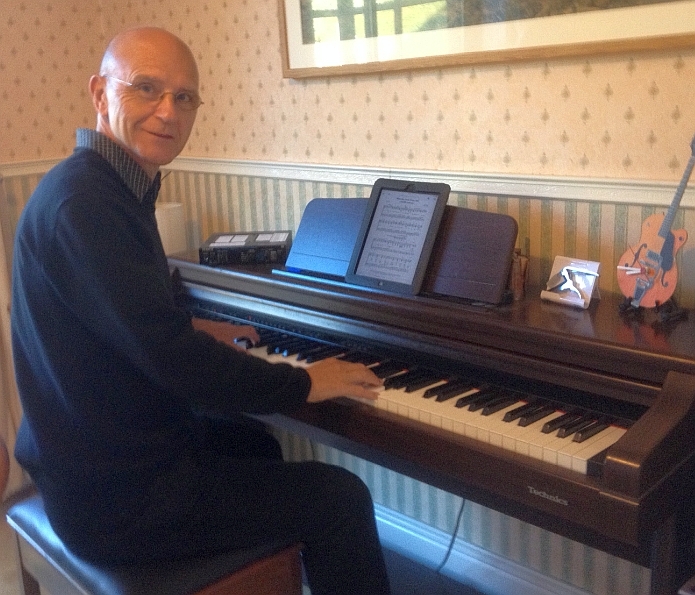 I play piano, keyboards, guitar and mandolin and have led Christian worship for over 25 years initially in West Yorkshire but now for the last 10 years in East Yorkshire. 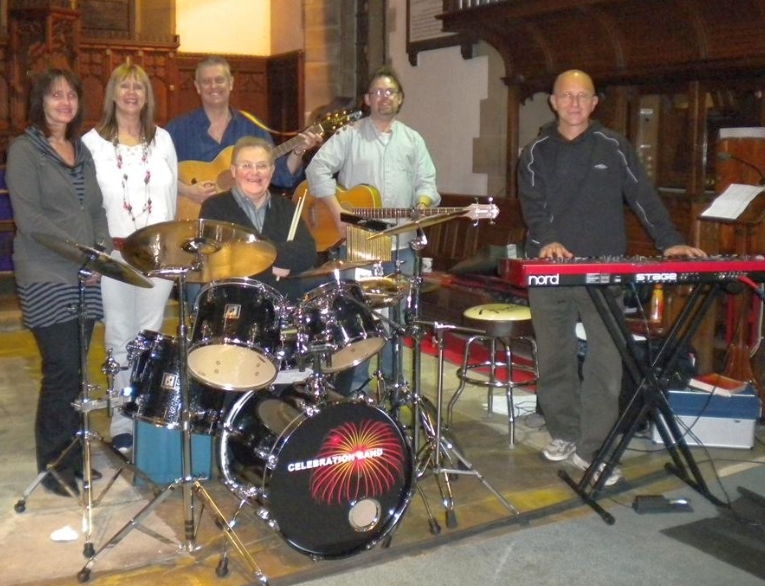 I still retain an association with West Yorkshire as keyboard player and on occasion guitarist with The Celebration Band, a Halifax based evangelical worship band who since its formation 15 years ago have led Christian worship and celebrations in many locations around Yorkshire and Lancashire. The band also lead a monthly celebration at Christ Church Halifax on the 2nd Sunday of every month and is open to people of other churches in the area. We as a band have been using Power Music now for around 4 years originally Power Music 4 and now Power Music Professional. Set lists are now so easy to put together and change both before and also during a set, with a wireless mouse on the end of my keyboard linked to a small 10 inch PC and then connected via a HDMI cable to a 22 inch monitor permanently attached to my music stand, everything is in place for a smooth set and transition between songs. I also use a BiLiPro foot switch page turner for page changes and with two presses its easy to skip a song. With the 22inch monitor I can have upto 3 pages on the screen at one time and the set list displayed alongside, I also do not require a music stand light as the monitor is so visually clear and easy to follow. We can and do annotations to the music so that as a band we all know where we are going as we may change the format and style of a song to suit our style of worship. It also helps us to keep tight together as a band. 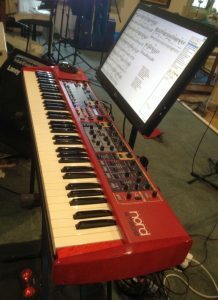 Our worship leader in the celebration band (Paul) can decide to change a song during a service, now no need to scramble for books or music sheets if its not fully familiar, now just a couple of clicks of the mouse and with access to around 2000 songs in my Power Music library its so easy..no books , no sheets, no panic! Paul emails me his chosen set list usually around a week before the celebration and it now takes minutes to set this up on my PC giving me more time to check out any new or unfamiliar songs. I am also a director and trustee of Beverley Causeway which is part of the national Causeway Prospects, a Christian organisation for people with learning disabilities. Where I organise the music part of the monthly meetings. 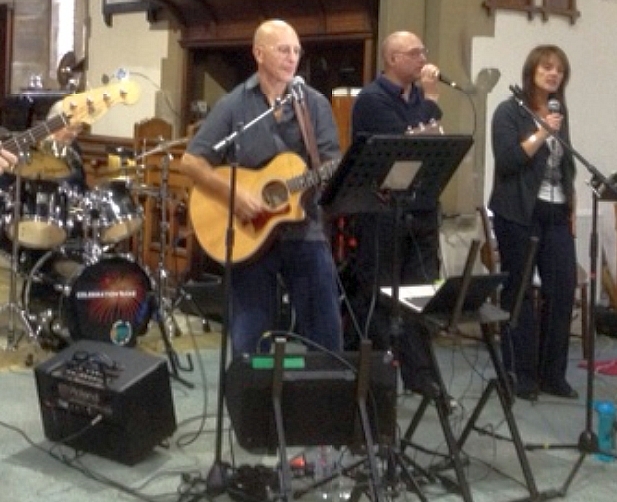 Sometimes leading and putting a band together or supporting other musicians in this ministry. Beverley Causeway can easily get upto 120 members attending these monthly gatherings and as musicians we are greatly blessed by the participation of our members even though some of them may have severe disabilities. Usually I lead these events on my guitar or resort to keyboards when I support other musicians. For this I generally use my iPad along with the Power Music APP and put together a set list with extra songs if needed. Currently having the music (and chord sheets) for around 700 songs on my iPad with a quick alphabetical search there has to be something for any occasion, if not I go to my Power Music Box where I currently have a further 650 songs that I can down load at any time. I tend for guitar to use the chord sheet facility rather than the sheet music I use for keyboards and the transpose feature is a great idea which I use a lot to fit the song into my vocal range if I am leading. On holiday 3 years ago in Lanzarote I was asked to help lead the worship at an evangelical church which was held in our hotel, most of their worship was from pre recorded discs. Having my iPad with me and a borrowed guitar it was no problem as I had “all” the songs “they” had requested in my Power Music APP on my iPad. I now do this annually for this church and always know I will have access to what ever songs they may choose. Composing some of my own work as well is easier with Power Music as I usually compose to chord sheets and then scan these into Power Music. If I am then working with other musicians who don’t use Power Music I can just use the print function and print off chord sheets for them..
With also leading worship on keyboard at my own church in Beverley time is a most valuable commodity which you can’t get enough of or can’t buy. With Power Music PRO, and My Box, that now saves me hours of searching through song books etc. I sometimes just sit on the couch with my iPad putting a set together. Saved set lists can also be used for other venues or be changed slightly. Doing this is now a pleasure rather than a dread which gives me more time to focus on playing the music rather than sourcing it. No way could I go back to the old way…. How did we ever manage without Power Music?